Made from half a kilo of whole raspberries in every bottle, our Raspberry Liqueur retains all the unadulterated mouth-watering flavour of raspberries picked at optimum ripeness. 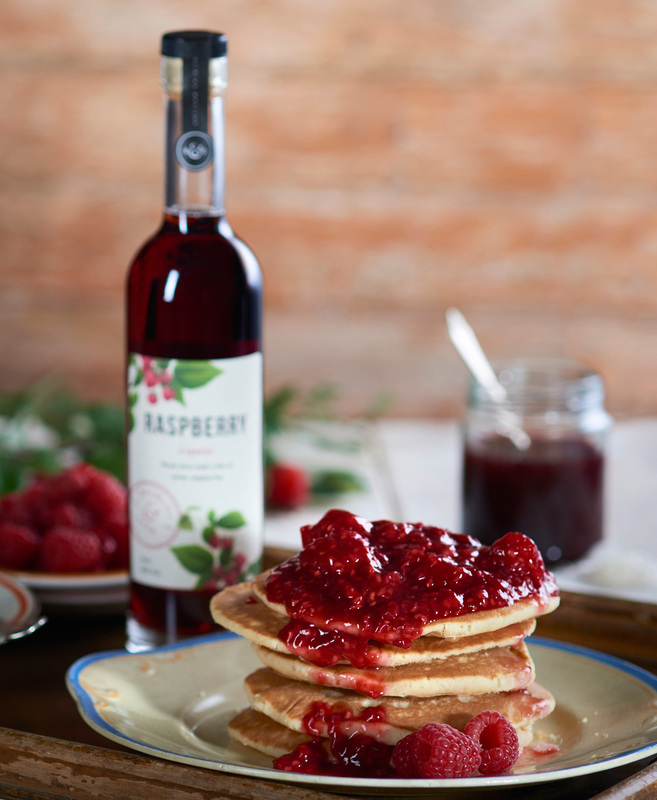 This recipe can be as simple as you want it to be; make the coulis and the pancakes, or dare we suggest simply using ready made pancakes and simply pouring over B&G Raspberry Liqueur but where is the fun in that? Simply heat all the ingredients together in a pan until the raspberries start to break down. You can sieve the mix if you don’t want the pips. 3. Heat a non-stick frying pan over a medium heat and add a knob of butter. When it’s melted, add a ladle of batter (or two if your frying pan is big enough to cook two pancakes at the same time). It will seem very thick but this is how it should be. Wait until the top of the pancake begins to bubble, then turn it over and cook until both sides are golden brown and the pancake has risen to about 1cm thick. 5. Serve with the coulis spread all over.